#222 adds another 2! Red Bull KTM Factory Racing are thrilled and proud to announce that reigning MXGP number one and nine times FIM Motocross World Champion Antonio Cairoli will remain part of the team for another two years and through the 2019 and 2020 Grand Prix seasons. 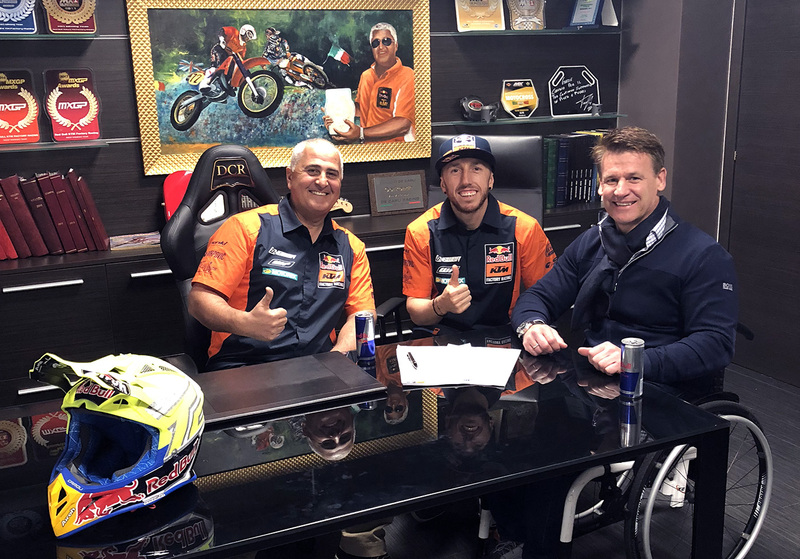 The 32 year old Sicilian renewed his contract on Thursday in Rome in the presence of Team Manager Claudio De Carli and KTM Motorsports Director Pit Beirer. The agreement means that Cairoli – who gave the factory their first title in the premier class of the FIM series with the KTM 350 SX-F in 2010 and delivered the KTM 450 SX-F’s first MXGP crown in 2017 – will register eleven years with the brand.